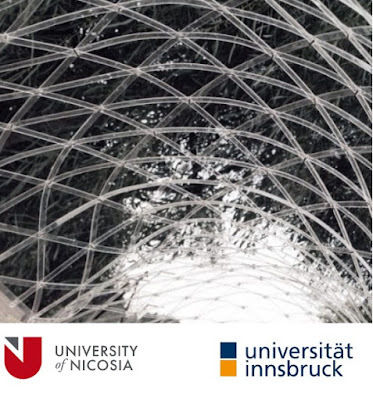 From the collaboration between the Architecture Departments of Innsbruck University and the University of Nicosia, the MSc in Computational Design and Digital Fabrication investigates the relationship between computational tools and architectural design. It focuses on programming languages as the basis of computational design methods and digital fabrication tools, attaining a coherent understanding of the relationship between coding, design intent, and built form. The programme goal is to offer prospective participants the opportunity to develop computational design skills and hands-on cutting-edge fabrication techniques while acquiring mature analytical thinking on the theory and applications of computational tools in architecture along with creative problem-solving working methods. The program is based on a Distance Learning Structure and will be using Rhino and Grasshopper extensively. Posted Mar 13, 2019 by Delia Robalo on Rhino News, etc.